Please note Aravind SA Stand-Up-Comedy Live in Dallas occurred in past. 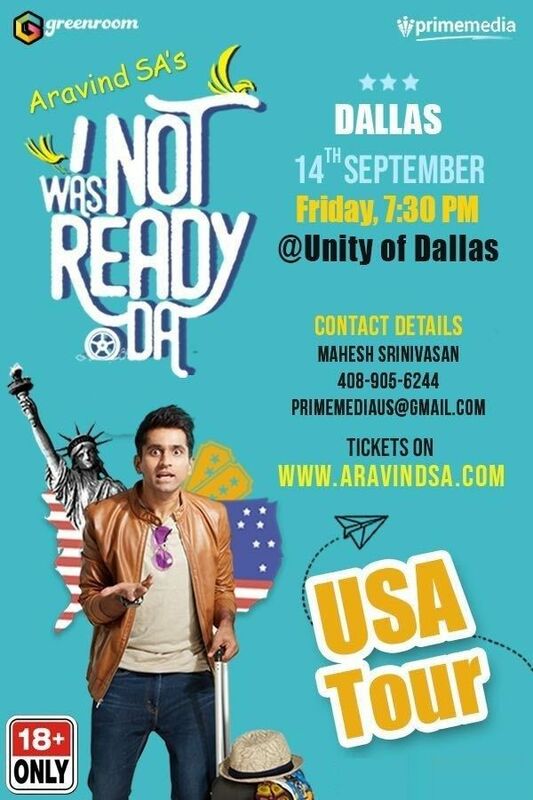 After successful MadrasiDa Aravind Subramanian (SA) is back in USA to make you all go crazy with "IWASNOTREADYDA". This is 18+ event and strictly no under this age will be allowed.